A few weeks ago I posted an article about the vandalism at Frost's Vermont home. Here's an article by Jay Parini about his experience discussing poetry with the young vandals. Next I'd like to hear from the vandals themselves. I'd like to know what they thought of the experience. I'd like to know if poetry really might save them. This article first appeared in the The Washington Post. I found it reprinted in The Star-Ledger. A Case of Poetic Justice. Literally. Last winter, which in Vermont is serious business, a gang of local teens -- and a few people a little older -- got a bright idea. The Homer Noble Farm in Ripton, famous as the summer home of Robert Frost between 1938 and 1963, stood empty. It struck them as just the place for a party. Armed with lots of beer, the group made its way up the long, snow-packed road to the farmhouse and broke in. Over the course of a rowdy evening, they managed to inflict some $10,000 worth of damage. But it wasn't until a hiker discovered the aftermath of the party that the law caught up with the revelers. All 28 were charged with trespassing. I was horrified to hear about the break-in but relieved to learn that the place -- where I had stayed off and on over many years, especially while writing my biography of Frost -- was not damaged beyond repair. As it happened, I had just finished a book called Why Poetry Matters, a study on the role poetry can play in our daily lives that deals extensively with Frost's ideas about the use of metaphor. "Unless you are at home in the metaphor," Frost once wrote, "you are not safe anywhere." These are lines I've said over and over in my head a thousand times -- as a poet, as a teacher of poetry. Suddenly, Frost's ruined house seemed to have become a kind of metaphor itself -- a symbol for his poems, which had somehow been violated, broken into. With these thoughts of Frost floating in my head, I got a call from the prosecutor in the case. His idea, which the judge embraced, was that part of the young invaders' community service would involve discussing Frost's poetry with me. If they studied with me for a period of time (to be determined by the judge and me), their criminal records in this case would be erased. Would I, the court wondered, agree to such a thing? The prosecutor's message was left on my answering machine, and I replayed it several times in disbelief. I went off to play basketball and mentioned the notion to my friends -- the guys I've played ball with three times a week for 25 years. Naturally, there was some derision. The implications of this project for the justice system seemed difficult to comprehend. Was this just punishment? Was poetry ever punishment? Would I be wasting my time and the time of these young people? Trusting a gut feeling, I agreed to teach some classes on Frost, with mandatory attendance by those who wished to wipe their records clean. My hunch was that Frost himself would certainly have endorsed the plan, having been a man who approved of what he often called "wildness." I settled on two main poems, " Out, Out --" and " The Road Not Taken." Other poems would have done as well or better, but these came immediately to mind, and I went with them. I've been teaching in colleges for 33 years, and I've never missed with "Out, Out -- ," a poem about a boy who loses his hand while cutting wood on a Vermont farm. The result is almost immediate death. Those who watch him die simply go back to work, as they must. The poem is set in the years of subsistence farming in Vermont, and a family could not lose a moment laying in the wood for winter. Frost begins with an astonishing vision of Vermont: "Five mountain ranges one behind the other/Under the sunset far into Vermont." I've often stood at the Frost house and looked out at the mountains, and I understood those lines in context. I repeated them with emphasis. Each of these kids had at some point stood still, looked out over the Green Mountains and experienced the glory of that view. This is life itself, which Frost puts at stake in his poem. The students were unprepared for the sudden death of the boy, the shocking finality of it, and the fact that those who were not the "one dead" turned immediately back to work. They registered their shock, and I could see from their rapt attention that Frost had once again worked his uncanny magic. He had unlocked some hearts. Then I turned to "The Road Not Taken." I did so gingerly, fully aware that the poem is complicated, shrewd beyond measure. In a poem of four stanzas, Frost tells the reader over and over that the two roads going into the woods are "really about the same." Indeed, "Both that morning equally lay/In leaves no step had trodden black." Nevertheless, the speaker understands that at the end of his life, he will decide to tell those who care to listen that he took "the road less traveled by." That ending has provided me (and countless other teachers) with endless productive hours of classroom discussion. But in this case -- in a stifling public building in Addison County, surrounded by anxious kids trying to wipe their records clean as they pored over my Xeroxed copies of the poetry -- I felt that I had to work more simply, with the symbol itself: two roads, choices. "Life is about choices," said one of the teens. Indeed, I said. I pointed out that the speaker in the poem was deep in the woods and that it was always difficult to figure out the right road when confronted with a forking path. They acknowledged having had many such experiences, quite literally, in the Vermont woods. "You are now in deep woods," I told them. They seemed confused. "If this isn't a deep wood, I don't know what is," I added. Many of them lit up. There were smiles around the room. In their short lives, this was among their darkest moments. They could choose one way out of this class or another. I told them that it is hard to predict consequences with any certainty but that Frost is calling our attention to the basic fact of our lives: that we must suffer a thousand choices, that we must make so many little and large decisions, and that much depends on them. A very shy and frightened-looking boy in a baseball cap said, "I took the wrong road." "You did," I said. "But there are other roads. Lots of them." I can't say what most of these students got out of this program, but I know I got something. I found the teaching situation itself pressurized in a unique way. I found their gazes fierce and defensive and proud and, ultimately, yielding. My guess is that they know a lot more about Frost as a presiding spirit in American poetry now than they did before the break-in. More importantly, they know that poetry matters (at least to some people) and that it can help us live our lives more attentively -- if only they will give themselves up to the language as it moves through time and space, over and again. Jay Parini, a poet and novelist, teaches at Middlebury College. I love this show! 8:00 PM to 10:00 PM on Wednesday night I'm hooked to the tv. Then again on Thursday 9:00 PM to 10:00 PM for the results show. This program features aspiring young dancers. It's similar in format to "American Idol" and, in fact, has the same producer. The show begins with auditions, then whittles down and down to the top 10 females and top 10 guys. The dancers are paired up and each week each couple draws their dance from a hat. Each couple works with a choreographer. Often the couple has to dance outside of their specialty, or one of the two has to. I enjoy seeing the different dances, the work of the choreographers, and the costumes. I find the judges' comments interesting and generally pretty supportive. I love watching these young dancers attempt to make a dream come true. For two of them, the dream ends each Wednesday, at least the dream of winning this season. I also love this program because each week as I watch I think about my mother who loved to dance. She had too much unhappiness in her life, but dancing brought her joy. She discovered ballroom dancing when I was in college and she was in the midst of a second bad marriage that would eventually end. During my spring break we went to Sea Island, Georgia, to stay with my grandparents. While there she took a few dancing lessons from Arthur Murray instructors at the big hotel there. Dancing became to her what poetry would later become to me. After the marriage ended, she remembered how much she'd enjoyed dancing and signed up for regular lessons. Her living room mantle filled up with dancing trophies. Each Sunday she went into New York to dance at Roseland. A few nights a week she went to other places to dance. She was on the circuit. She made new friends. She was only interested in men who could dance. ("He's nice, but he doesn't dance.") She bought skirts with flounced hems because they looked good when she swirled around. She loved Fame and Dirty Dancing. She mastered the Pasa Doble. The year I received tenure I rewarded myself with a trip to London. I took my mother and my daughter. One day, on our way to Madame Tussaud's, we saw a small shop that advertised dancing shoes. On the way back we stopped there and she bought her favorite dancing shoes. I have always been grateful that we took that trip as her feet were already going bad on her–bunions, hammer toes. They got worse and worse. She walked with feet that killed her. It threw her entire alignment off. Her back hurt. Her hips hurt. Her legs jumped at night. But she kept on dancing! She would tape up her feet as if she were an athlete. The night she died, she'd been dancing. So each time I watch this show I think of my mother and how much she would have loved it. Not surprisingly, I suppose, I've written a few dancing poems. I wish my mother had lived long enough to know I'd written them. I know that would have made her happy and proud. Here's one of them. This poem has danced around a bit itself. It was first published in the now-defunct Cumberland Poetry Review, later appeared on Valparaiso Poetry Review as my first online publication, and then appeared in my first book, Eve's Red Dress. stitched with tiny silver sequins. she met my father. Show me, I said. her knees together, in, out, in, out. airlifted out of her life. She threw off her robe and shimmied. and all around her fire, fire, fire. Saturday night my husband and I attended his high school reunion. Old classmates came in from all over the country—somewhere around 150 of them, plus spouses. Although I wasn't in my husband's class, I knew many of his friends, so I had a good time visiting with people we hadn't seen in a long time. Lots of reminiscing and catching up. The woman who ran the whole thing put together an updated yearbook. Each classmate's high school photo is placed next to a more recent photo. Some people are very recognizable, some not at all recognizable. Beneath the pictures is a bio with a number of wonderful stories. My favorite story is the one about a guy and a girl who went together in high school. In their senior year she became pregnant. Her parents sent her away to some kind of home for unwed mothers. She gave birth to a daughter who was put up for adoption. All adoption papers were permanently sealed. The girl returned home. Eventually, and I suppose inevitably, the couple broke up. Each went off to college, married someone else, had children, got divorced. Several years ago, the girl decided to try to track down her old boyfriend. She found him via the internet and the two began an email correspondence. Neither knew anything about their daughter, but both had been haunted by thoughts of her. They got together, fell back in love, and married. They initiated a search for their daughter. The adoption records were unsealed, and they were put in touch with their daughter, now an adult with children of her own. The children from all three families know the whole story. How wonderful that these two had an opportunity to go back and write the happy ending that such a story doesn't often get. Other stories did not have happy endings. Beneath 28 of the photos was the word "deceased." A number of the classmates have had serious health problems. Two are right now in the midst of cancer treatment. These were sobering moments. And I started to think about Len Roberts' wonderful poem, "We Sat, So Patient," first published in Boulevard and later anthologized in Best American Poetry 1992. I'm going to include the poem here. It's a grim poem. I offer it not to depress you, but rather to remind you, as the poem does, that our lives are precious and uncertain, a lesson even more forcefully made by Len's untimely death. that Jimmy Legasse whispered, making us laugh. beneath the slow, steadily clicking clock. I've just learned that the Festival and Conference on Poetry at The Frost Place, held in Franconia, New Hampshire, still has openings for their one-week summer conference. If you're looking for a program, this one is terrific. I strongly recommend it. This is the place I first went to when I started writing poetry. I could not have picked a better place. It was exactly the place I needed. I went all nervous, not knowing if I'd be good enough, if I'd feel out of place, if I'd be lonely. But it was great. I never pursued an MFA—a late start, full-time teaching, and 3 kids stood in the way—so I instead cobbled together my own poetry education by attending workshops, conferences, and festivals. I've been to a number of other programs, but none goes so far out of its way to bring in all the participants, to make everyone feel welcome. Friendships form almost instantly. And many of them last long after the conference is over. In fact, a good number of the participants are returnees from previous years. Here's how the program operates. It begins on Sunday morning with a meeting in Frost's barn. There are usually somewhere around 50 participants. At this meeting, everyone gets introduced. There are four resident faculty poets, all well along in their poetry careers. There is also a poet who resides in the Frost's farmhouse for the entire summer. This poet gives the craft lecture at that first session. Then on subsequent days a different well-known poet gives the morning talk. The morning session is followed by a communal lunch on the grounds. You can sit on Frost's front porch or his back porch, or you can sit on the grass and enjoy the view of the White Mountains. Nobody is ever left to eat alone—unless by choice. After lunch participants break into small groups, each group meeting with a different resident poet. Each day, also, the guest poet meets with a group in the barn. So there is lots of variety. You meet with 5 different poets during the week. On the sixth day you audit the guest poet's workshop. Four sessions are for critiquing work you bring with you. One session is for a new poem. And one session is for a revision you do during the week. The afternoon ends around 2:30-3:00, so you have several hours to yourself. Dinner is on your own. Then each evening there is a reading in the barn with the guest poet and one of the resident poets. Jeanne Marie Beaumont in the Barn. Note the photos of past resident poets. Wednesday is unscheduled during the day. Lots of sights to see or you can spend time writing. Late afternoon is a picnic. Then that night is the participants reading. Unlike at some other conferences, at The Frost Place all the teaching poets attend all events. There is no sense of a class system here. I went to the Festival and Conference on Poetry at The Frost Place for 7 years as a participant. Then I went as an auditor, attending the morning talks, using afternoons to write, and returning for the evening readings. Then I graduated to Baron Wormser's Seminar, a more intensive 5-day conference, now run by Jeanne Marie Beaumont. One of the thrills of my life was being invited in 2005 to be one of 4 guest poets at Baron's Conference on Poetry and Teaching, the third program run each year at The Frost Place. What a lovely way to complete a circle! I owe so much to The Frost Place. 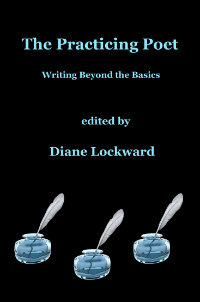 It gave me confidence in myself as well as a lot of good information about how to write poetry. It also filled my spirit and sustained me throughout the year. So if you're looking for a place and you've had some experience writing poetry, are perhaps "pre-emerging" or "semi-emerging," this could be the perfect place for you. And if you're further along but want some terrific craft talks, some great company, and some beautiful scenery and good air, this could be the perfect place for you, too. Franconia, New Hampshire, even has some flumes! This one's a beauty. Winner of Tupelo Press' 2006 Snowbound Chapbook Award and published in 2008, Cecilia Woloch's collection is a perfectly contained and controlled collection. In spite of the collection's title, there is only one overt reference to Narcissus and that occurs in the epigraph that introduces the first of two sections: "Didn't I stand there once? / Didn't I choose to go back?" (from "Narcissus," by Patricia Hooper). Woloch then borrows not the story of Narcissus but the ideas contained in the story and with the most subtle of touches weaves those ideas throughout the collection. 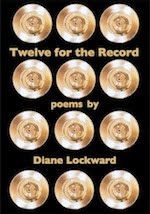 "Anniversary," the collection's first poem, engages the first line of the epigraph as its first line and thus introduces the nostalgia that pervades the twenty poems. Just as Narcissus returned to the pond again and again, Woloch returns again and again to the past and with the same mixture of longing and regret. In "Postcard to Kim from the Cafe Les Philosophes," one of several poems that masquerade as postcards, the speaker revisits a marriage that once was blissful, then wasn't: "We were husband and wife in that house / because that's what we'd been pronounced . . . / Something / I thought had gone wrong with the language, with the meaning we make of / breath." Just as Narcissus gazed at his own image, Woloch's speaker scrutinizes the person she once was. In "Girl in a Truck, Kentucky Highway 245," the speaker returns to her girlhood home: ". . . I almost wave, now, at the girl standing up in the bed of the truck in / the yard I pass. I remember myself at that age, remember the longing, almost / like rage, to touch and be touched, and my innocence. / . . . / I've come back to save what can still be saved of the girl who believed / —who goes on believing, shattered and shimmering, driving too fast—that the / beloved, oh beloved, all bright tenderness, will come." This longing to return home, to have a home, is underscored by references to houses, hotels, and rooms that never feel like home. "Every room was a / borrowed room," concludes the speaker in "Postcard Beginning with a Quote from Mark C., Avenue de l'Opera." Similarly, the search for home is underscored by references to different geographical places—Kentucky, Georgia, Paris, the Carpathians—and by references to modes of transportation—train, truck, metro. The idea of Narcissus' pursuit of love is carried out in images of water and its various manifestations: a river, the sea, rain, tears. Even the image of the mirror, what the water was to Narcissus, makes several appearances in the poems. And so, too, images of shining, shimmering, and shattering. Even the numerous epigraphs and borrowed lines and the few ekphrastic poems imply a return to the past, to what came before, and they suggest as well another way of gazing at what we hunger for. Here are two poems, the first from Section I, the second from Section II, that represent this collection's motifs and also display Woloch's simple but elegant language and her exquisite figures and images. Twice before I have posted a list of print journals that accept email submissions. I continue to be appreciative of journals that have made this accommodation. With the summer months upon us and perhaps with a bit more time on our hands, this seems like a good time to update the earlier list. I have several journals to add to the list. Asterisks indicate the additions. Be sure to check guidelines to make sure submissions are accepted during the summer. MIDDLEBURY, Vt. (June 2) - Call it poetic justice: More than two dozen young people who broke into Robert Frost's former home for a beer party and trashed the place are being required to take classes in his poetry as part of their punishment. Using "The Road Not Taken" and another poem as jumping-off points, Frost biographer Jay Parini hopes to show the vandals the error of their ways - and the redemptive power of poetry. Frost, here in 1954, was born in San Francisco, but is commonly associated with New England, where his writings were frequently set. He received four Pulitzer Prizes during his lifetime. He summered at the home from 1939 to 1963, the year he died. "I guess I was thinking that if these teens had a better understanding of who Robert Frost was and his contribution to our society, that they would be more respectful of other people's property in the future and would also learn something from the experience," said prosecutor John Quinn. The vandalism occurred at the Homer Noble Farm in Ripton, where Frost spent more than 20 summers before his death in 1963. Now owned by Middlebury College, the unheated farmhouse on a dead-end road is used occasionally by the college and is open in the warmer months. On Dec. 28, a 17-year-old former Middlebury College employee decided to hold a party and gave a friend $100 to buy beer. Word spread. Up to 50 people descended on the farm, the revelry turning destructive after a chair broke and someone threw it into the fireplace. When it was over, windows, antique furniture and china had been broken, fire extinguishers discharged, and carpeting soiled with vomit and urine. Empty beer cans and drug paraphernalia were left behind. The damage was put at $10,600. Twenty-eight people - all but two of them teenagers - were charged, mostly with trespassing. About 25 ultimately entered pleas - or were accepted into a program that allows them to wipe their records clean - provided they underwent the Frost instruction. Some will also have to pay for some of the damage, and most were ordered to perform community service in addition to the classroom sessions. The man who bought the beer is the only one who went to jail; he got three days behind bars. Parini, 60, a Middlebury College professor who has stayed at the house before, was eager to oblige when Quinn asked him to teach the classes. He donated his time for the two sessions. On Wednesday, 11 turned out for the first, with Parini giving line-by-line interpretations of "The Road Not Taken" and "Out, Out-," seizing on parts with particular relevance to draw parallels to their case. "Two roads diverged in a yellow wood," he thundered, reciting the opening line of the first poem, which he called symbolic of the need to make choices in life. "This is where Frost is relevant. This is the irony of this whole thing. You come to a path in the woods where you can say, `Shall I go to this party and get drunk out of my mind?"' he said. "Everything in life is choices." Even the setting had parallels, he said: "Believe me, if you're a teenager, you're always in the damned woods. Literally, you're in the woods - probably too much you're in the woods. And metaphorically you're in the woods, in your life. Look at you here, in court diversion! If that isn't `in the woods,' what the hell is `in the woods'? You're in the woods!" Dressed casually, one with his skateboard propped up against his desk, the young people listened to Parini and answered questions when he pressed. Then a court official asked them to describe how their arrests and the publicity affected them. "I was worried about my family," said one boy, whose name was withheld because the so-called diversion program in which took part is confidential. "I'll be carrying on the family name and all that. And with this kind of thing tied to me, it doesn't look very good." Another said: "After this, I'm thinking about staying out of trouble, because this is my last chance." "My parents' business in town was affected," said a girl. When the session ended, the vandals were offered snacks - apple cider, muffins, sliced fruit - but none partook. They went straight for the door, several declining comment as they walked out of the building. The next session is Tuesday. "It's a lesson learned, that's for sure," said one of them, 22-year-old Ryan Kenyon, whose grandmother worked as hairdresser in the 1960s and knew Frost. "It did bring some insight. People do many things that they don't realize the consequences of. It shined a light, at least to me." The poets for the upcoming Geraldine R. Dodge Poetry Festival are now posted, but the schedule has not yet been set. There is also a list of accommodations and rates. Word to the wise: Book early as places go quickly, especially the ones closest to the Waterloo Village. Also, rates are good only until a certain date. The festival will once again be held in historic Waterloo Village, now closed but open for the festival. It's an ideal location with its original buildings, pathways, and canal. Lots of open space with a real country feel. Among the poets are many who've been part of past festivals: Lucille Clifton, Mark Doty, Coleman Barks, Edward Hirsch, Joy Harjo, Robert Haas, Billy Collins, Naomi Shihab Nye, and Sharon Olds. I'm looking forward to hearing poets I haven't heard before: Ted Kooser, Maxine Kumin, Evie Shockley, Patricia Smith, and Beth Ann Fennelly. Among NJ poets are Susan Jackson, BJ Ward, Joe Weil, and JC Todd. I'll be working there throughout the festival, one of my favorite jobs. This Friday I'll be going to County College of Morris in Randolph, New Jersey. The college is the site of the annual Morris County Teen Arts Festival. I've been invited to lead a critiquing workshop. I'm in the process now of commenting on the 10 packets of poems I've received. This should also be a fun day. Poetry Festival: A Celebration of New Jersey's Literary Journals (and Some Neighbors) is over for another year. It far exceeded my expectations. The date was a few weeks later than in the past and The Star-Ledger did not come through with an article for us and the pools had already opened, so I kind of thought maybe the numbers would be down. Wrong! Happily wrong. It was our biggest turnout yet. And that was great as this was our fifth anniversary so I wanted it to be special. As soon as the doors opened, people started pouring in. The tables displaying the thirteen journals were mobbed. Many journals were sold and lots of submission guidelines and subscription forms were given out. The reading room was packed for all four reading sessions. In fact, extra chairs had to be brought out after the first session. So the 26 poets had a fantastic audience of around 80 to read for (two poems per poet) and lots of applause. Some books were sold; I always wish it were more, but the purpose of the festival is to honor the journals, so any book sales are gravy. More importantly, we had an opportunity to hear new voices and familiar ones. Names and emails were exchanged, and I'm hopeful that lots of good follow-up connections were made. Here are some photos to give you a sense of the day. Photos with an asterisk were taken by Anthony Buccino. More available here.